I’ve been trying to think how to describe this show to someone who’s never seen it. I suppose it’s a sketch comedy, in that each episode consists of a series of short skits, each generally with a punch-line or six. But it’s closer to a hybrid with a sitcom than any other sketch comedy I know of. There are consistent characters, plots carry from one bit to the next, and there’s even sometimes a hint of pathos, or at least you can become sympathetic towards the characters. The characters in question are the men of Possum Lodge, both the name for the building and the club. It’s also a show-within-a-show, in that the characters are mostly aware they are being filmed, for the “show” they produce locally, the segments (many repeated in each show) are named on screen, and they directly address the camera. The repetitive structure is also reminiscent of many children's shows. 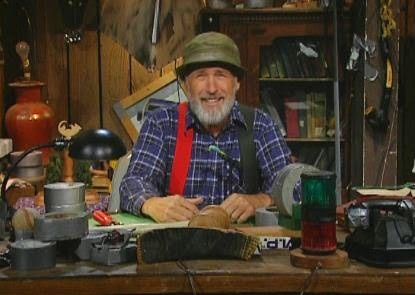 The repeated skits are things like a guess-the-word game, or ‘Handyman’s Corner’, wherein Red builds something ludicrous with copious use of duct tape. This also makes the show a parody of home-improvement shows. Enough layers yet for a silly show about men doing ‘manly’ things? 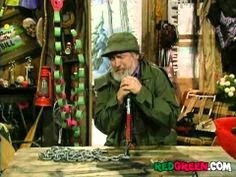 The main character, Red Green, is the ringleader and least bumbling of the characters. The most prominent secondary character is Harold, Red’s dweeby nephew. As in most comedy shows, each character has a core joke that they play off of. Edgar is deaf because he’s an explosives enthusiast. Hap seems to only speak in tall tales. So, let’s run through the notable points for the Christmas specials. "This is the repair shop part of the show we call, 'If It Ain't Broke, You're Not Trying.'" This double-length episode was our favorite of the three, and I don’t think it’s just because it’s the one we watched third and we were getting used to the style. It does a better job balancing melancholy with farce to really reach an interesting overall tone. 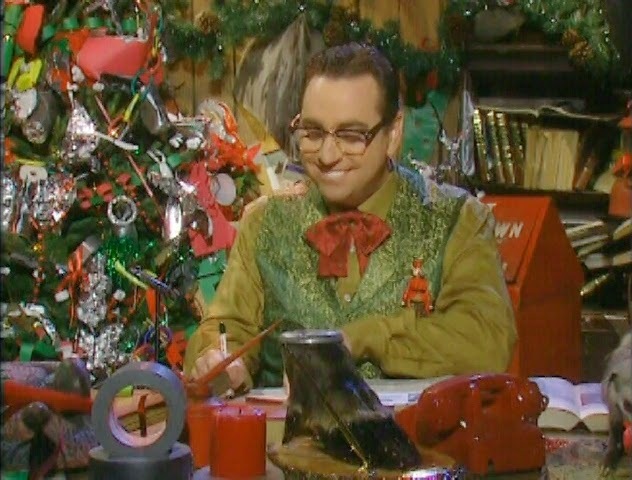 Notable sketches included Harold’s letter to Santa, a series of ‘advertisements’ for one character's sewage pumping business, and Red turning the Possum Van into a Christmas Music Broadcasting Vehicle. The larger plot concerned Harold being home for Christmas although his character is off working in the big city for most of this season. 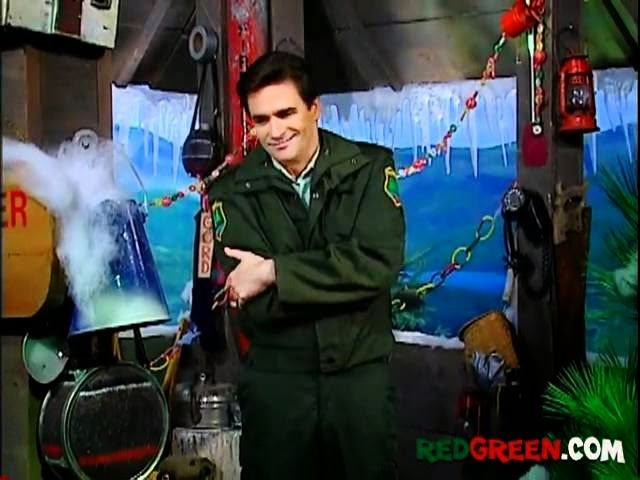 This episode had the most specific plot of the three, revolving around the Santa Clause Parade: who is playing Santa, what will he ride in if the reindeer don’t make it, what will he throw to the children… One of the funniest sketches in this episode was about whether to give a stuffed animal or a jack-in-the-box as a child’s gift. Explosives were involved. "I don't know if I've ever seen a real Santa Claus. I mean, a fat, obese guy with a white beard pretty much describes every Lodge member." I used to watch this show in syndication on PBS, and I was very pleasantly surprised how much I still enjoyed it. It’s really kinda sweet, for a show of this type. There’s slapstick, and mocking humor, but it’s almost never actually cruel. It’s really funny, and I also found it really warm. And I don’t think it’s just cause we were watching the Christmas episodes. I think it’s because it’s Canadian.